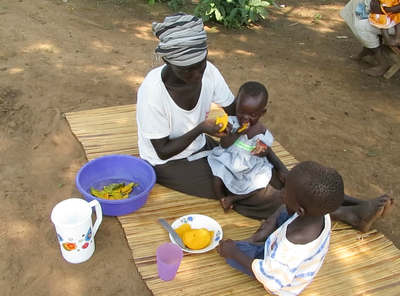 For the past few years we at GloCal (Global issues in local context) have been working on developing a set of 50 educational videos to teach parents, grandparents, health care workers and health extension workers the basis of good nutrition and health. Though the process has not always been easy, encouraging statements like those from a translator, “Now I understand! I will tell my children so they can feed my grandchildren better than I fed them!” or local doctors, “Just bring the videos and I will find a way to get a TV here so we can show them to the mothers!” have kept us going. We have finally concluded the intervention where we explored how the videos influenced maternal learning in urban slums and rural areas of Kenya. The results were highly positive, and we were able to see better knowledge, attitudes and child feeding practices among the mothers who had seen the videos compared to those who had not. The GloCal videos use local families and foods as well as simple animations to make the messages easy to relate to and understandable even for parents with little education. In addition, all videos are based on WHO guidelines and have been approved by UNICEF and thus fall in line with government policies. The videos can be displayed on TVs in public places like the waiting rooms of healthcare centers, distributed through local or national TV channels, and used in the education of healthcare workers and health extension workers. They can be used by healthcare workers in patient education or downloaded on tablets or simple smartphones and brought to remote villages by health extension workers. The African video set is already available in English, French, Kenyan Swahili, Tanzanian Swahili, Amhara, Japhadola, Luganda, Chewa, Yao, Sereer and Wolof. We have also made an Indian video set that is available in English and soon in Hindi. In the future we hope to make similar video sets for other countries in Asia and South America. You can find the GloCal videos and more information on our website www.glocalnutrition.com. GloCal is a project of the University of Helsinki, Finland. We hope that you will find the videos useful in your organization's educational pursuits!